Next time you need a definition or quick bit of information, don’t waste your time with dictionary.com or poor quality information on Google. Oxford Reference Library Premium is a great online source of reference type materials that can come in handy when writing your next paper. Oxford Reference Library Premium consists of two collections. 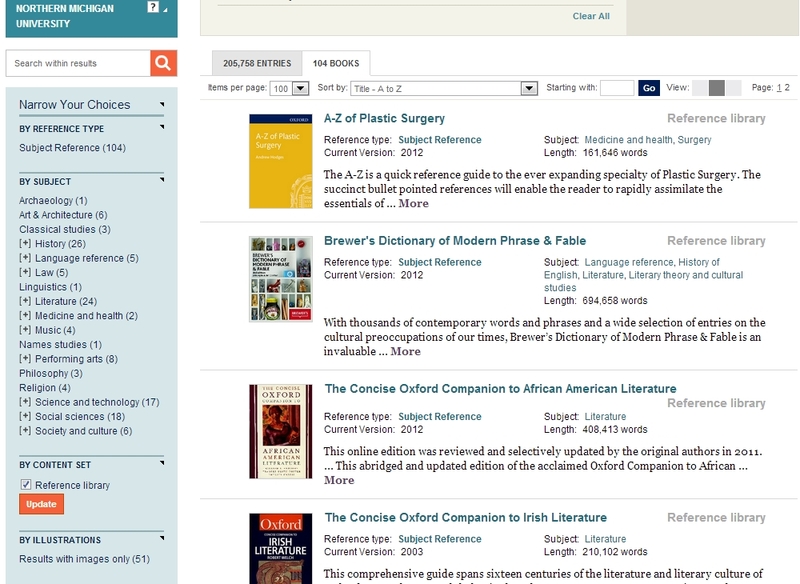 With Oxford Reference Library Premium you can search across all titles or browse individual ones. Likewise, you can browse titles by the two different collection types. Below is an example of the over 100 titles in the Reference Library collection, which provide more “meaty’ entries. Note, you can see all the titles, or browse them by subject (left hand side). Once you give Oxford Reference Online Premium a try, we’re confident you will like what you find.